Popular in pre-school and primary environments our book three compartment book browsers make the perfect classroom storage and tidy aids. Constructed from a combination of 18mm MDF and particle board in birch colour. 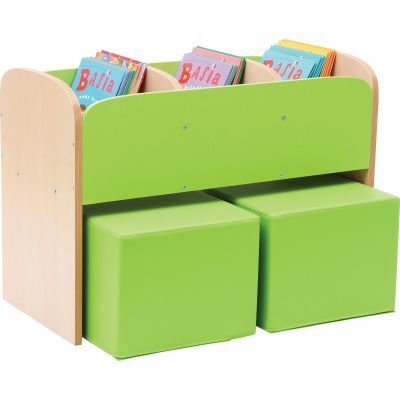 The front and back of the book storage units are available in green, orange or yellow. 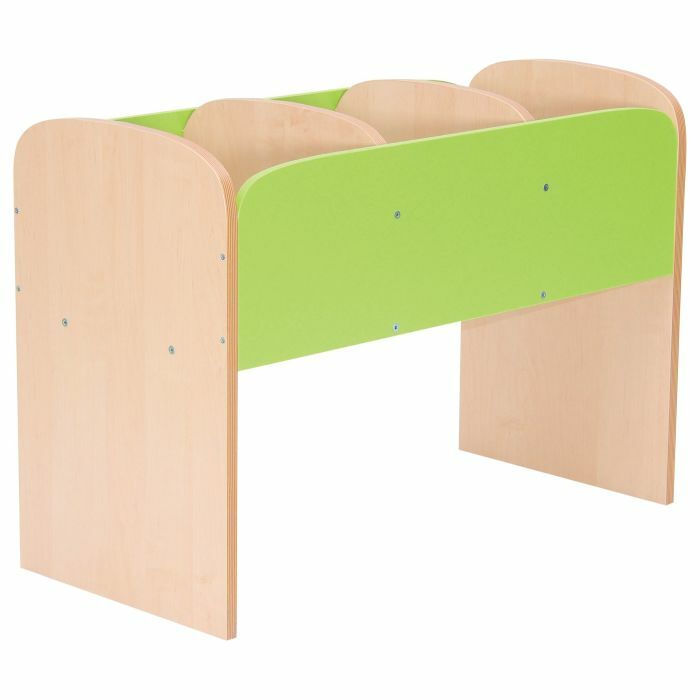 The units can be combined with 2 foam filled PVC seats which meet relevant safety standards. Each compartment measures W248 x D355 x H210mm. Supplied flat packed for easy assembly. Suitable for children aged 3-10 years.